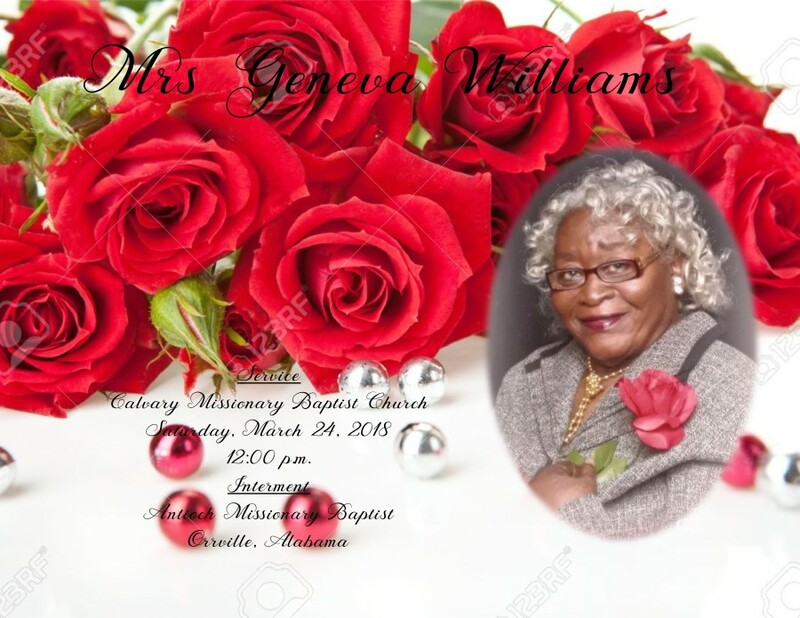 Ms. Geneva Williams, 87, of Orrville, AL passed away on March 14, 2018. Services will be held on March 24, 2018, at 12:00 p.m. at Calvary Missionary Baptist Church. Interment will immediately follow at Antioch Baptist Church Cemetery. Ashley's J.H. Williams and Sons Funeral Home professional and compassionate staff humbly thanks the Williams family for selecting us to provide care in the final rites of passage of Ms. Geneva Williams.